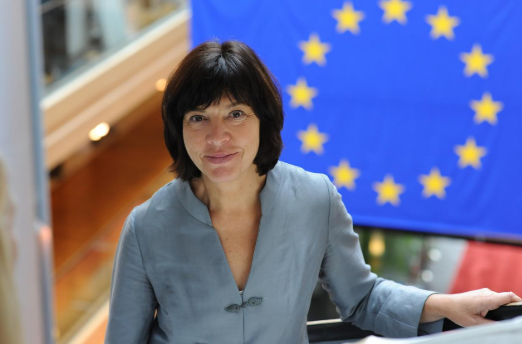 The member of the European Parliament Rebecca Harms is heading to Ukraine to observe the first round of the presidential elections, as it was reported on her website. “Expert for Eastern Europe and member of the Greens/EFA Group in the European Parliament, will be in Ukraine as from tomorrow (Thursday 28 March) onwards as an election observer with a European Parliament delegation,” the message reads. After the briefing of the delegation by the long-term observers, the MEP will travel to Odesa on March 20 to observe the elections and visit polling stations. “There are also meetings planned with members of the Central Election Commission, representatives of the press and media, civil society and presidential candidates. Rebecca Harms will also observe the second round on the ground, which is expected to take place on 21 April,” the website reported. The first round of the presidential elections in Ukraine is scheduled for March 31.